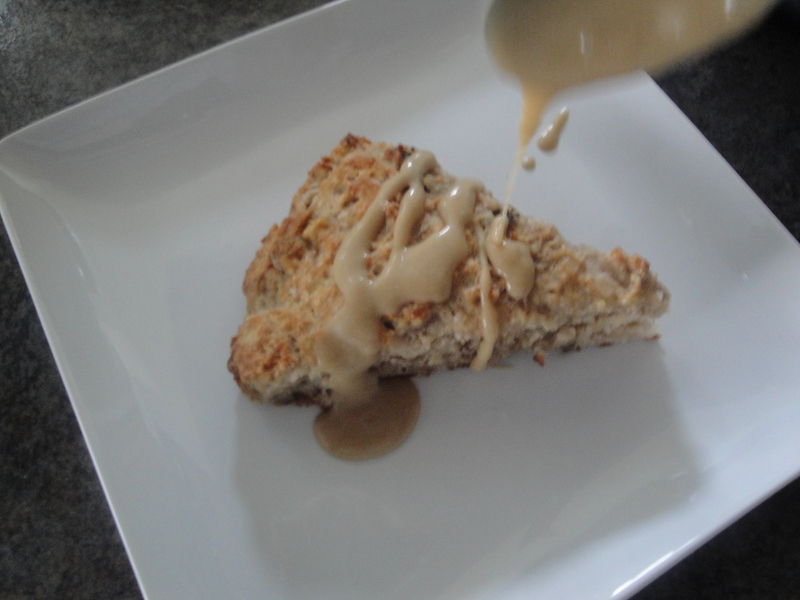 I love banana bread and I love scones so when I saw this recipe for Banana Bread Scones with Brown Sugar Glaze, I definitely had to try it. These quick bread treats have a subtle banana and cinnamon flavor and would be tasty with a cup of coffee or tea. The scones aren’t overly sweet and would be delicious with a little bit of butter and without the glaze, if you prefer. But, in my opinion, the brown sugar glaze provides a tasty sweetness that my sweet tooth is grateful for. The recipe says to use 2% or whole milk but I used skim milk and everything turned out fine. The walnuts are optional so leave them out if you like but they do give an added crunch. 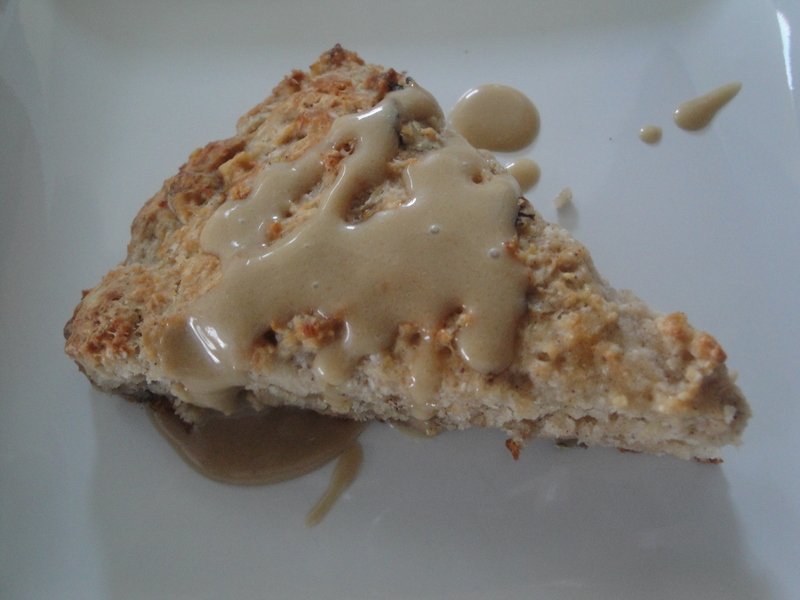 If you like banana bread and are willing to try something slightly different, consider these scones instead. 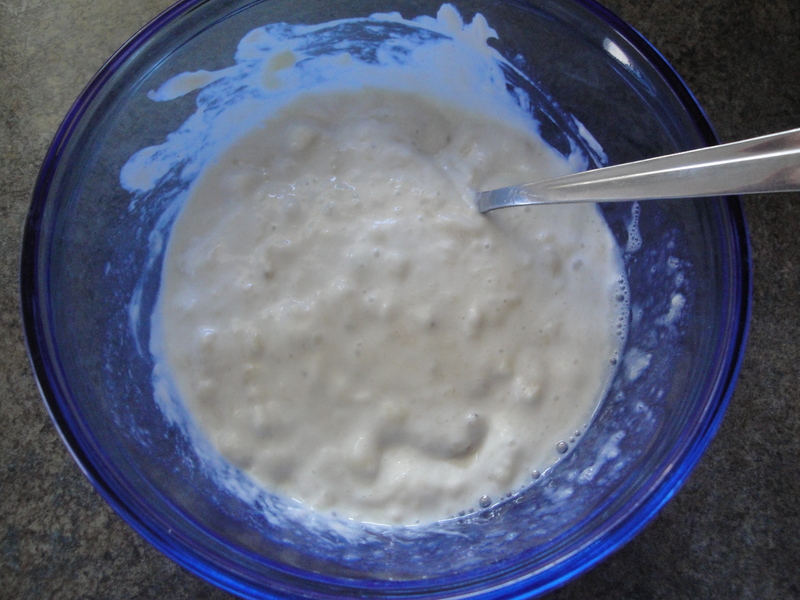 Combine mashed bananas, milk, and yogurt in a small bowl and set aside. 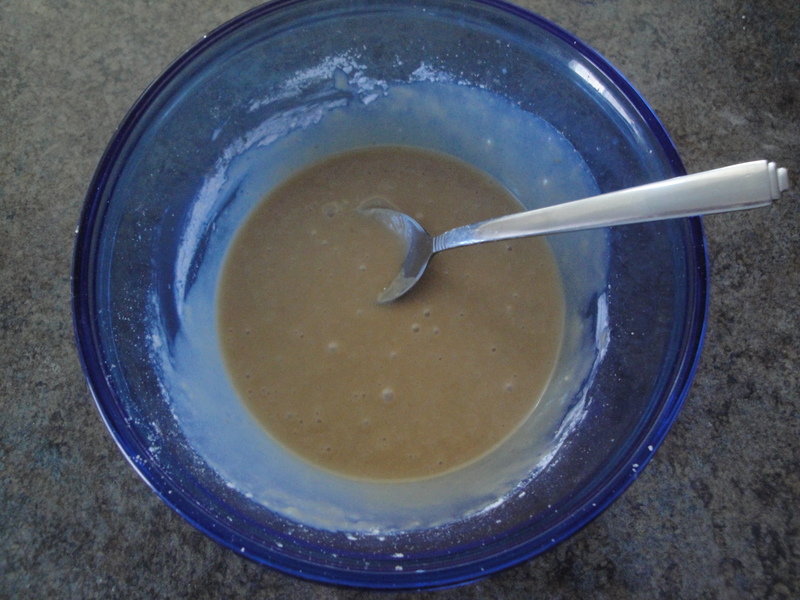 In a large bowl, mix together flour, sugar, baking powder, salt, and cinnamon. 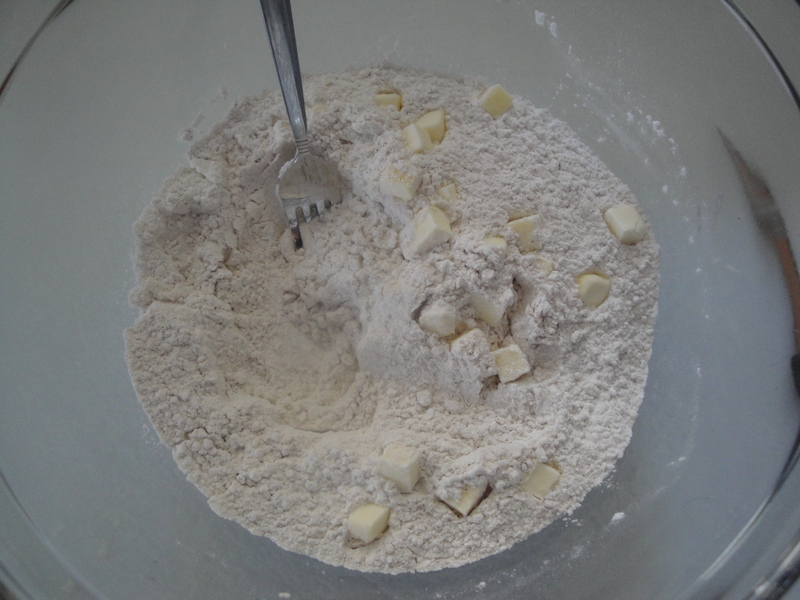 Cut in the butter with a pastry knife or fork. 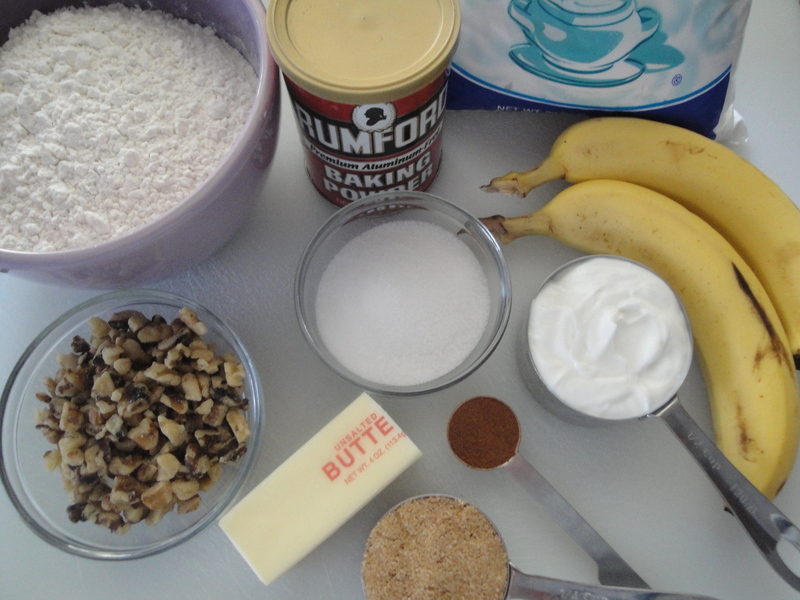 Pour banana mixture into the dry ingredients and mix until combined. Be careful not to overmix. Pour dough onto a piece of wax paper and shape into a disk. Top with another piece of wax paper and freeze for 30 minutes. Carefully remove top layer of wax paper and replace with a piece of parchment paper. Invert a baking sheet and place on top of parchment. 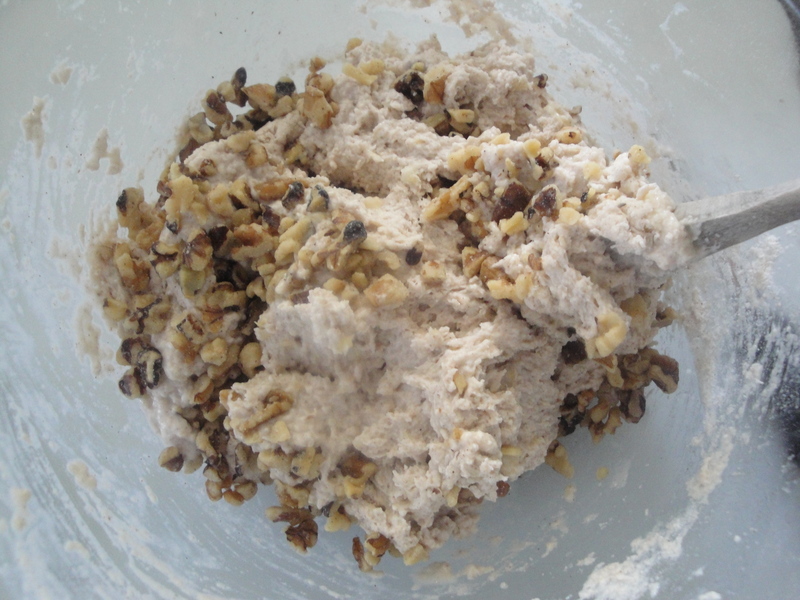 Flip the whole thing over so that dough is on the baking sheet lined with parchment. Remove other layer of wax paper and discard. 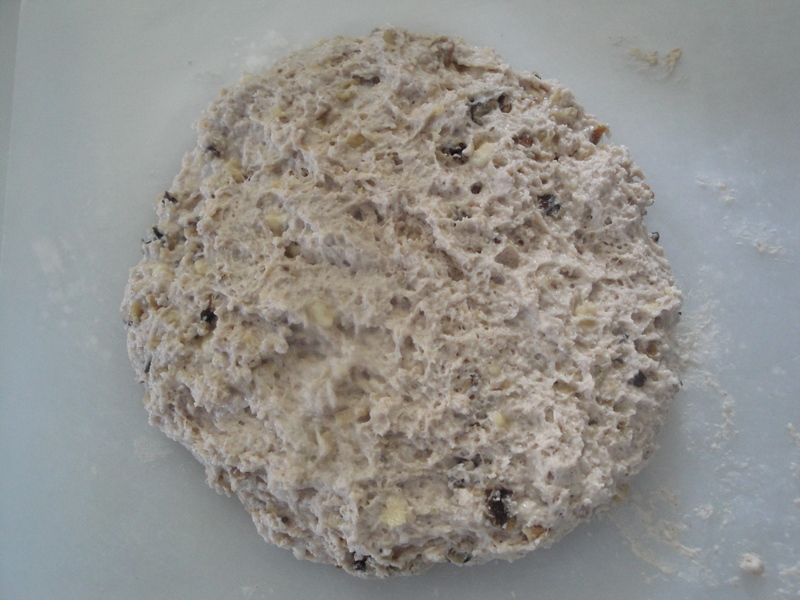 Cut or score dough into eight pieces and bake in a 400°F oven for 25-30 minutes. 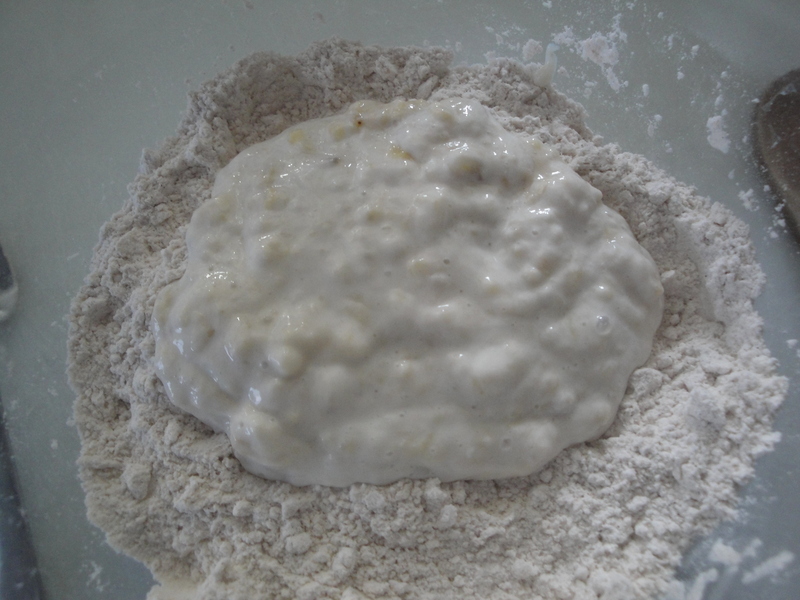 While scones bake, combine butter and milk in a small bowl and microwave for 30 seconds. 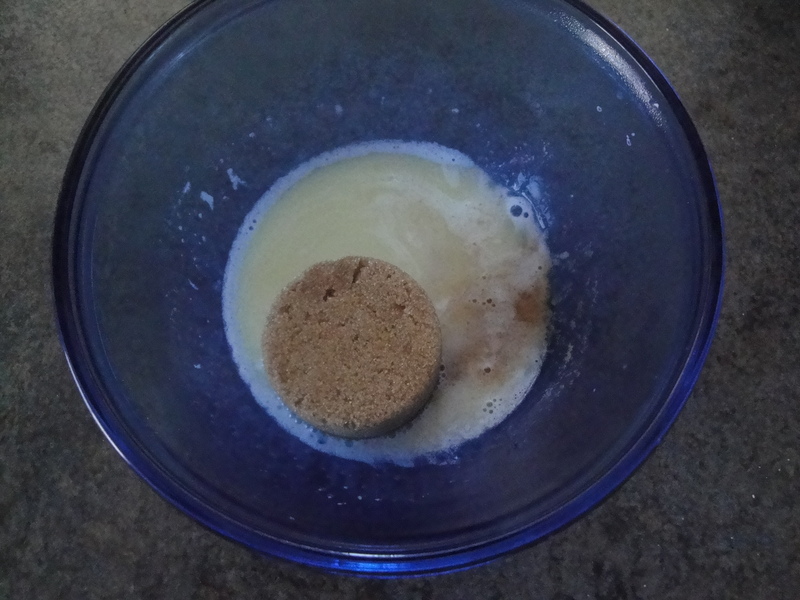 Add in brown sugar and vanilla, stirring until sugar has disolved. 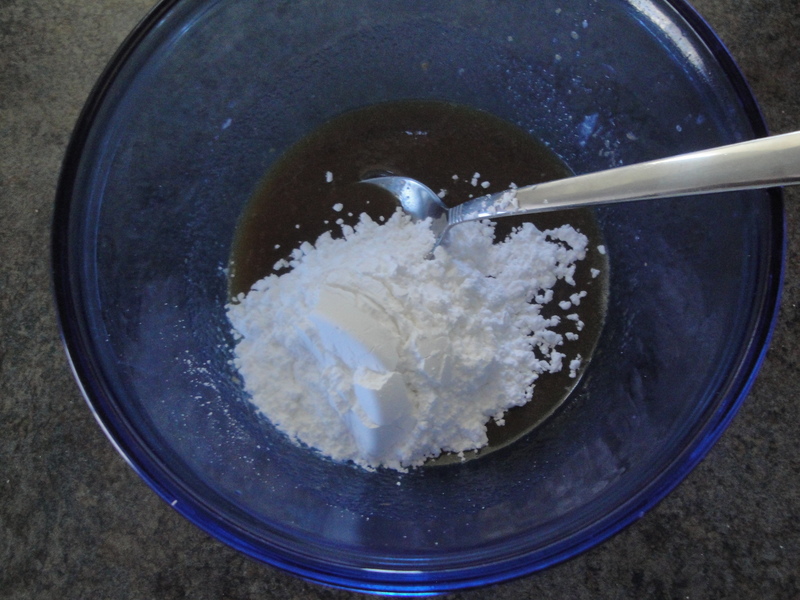 Add powdered sugar and stir to desired thickness. Drizzle glaze over scones just before serving. Those look great! I’d still use the full-fat dairy as in original recipe, but that’s just what I have around the house. These look great for a holiday brunch! Very interesting post on whiskey. How many calories are there in whisky?